We looked at the top 13 Infant Car Seats and dug through the reviews from 96 of the most popular review sites including Baby Gear Lab, Lucie's List, Car Seat Blog, The Bump, New York Times Wirecutter, Car Seats For The Littles.org and more. The result is a ranking of the best Infant Car Seats. Our experts reviewed the top 13 Infant Car Seats and also dug through the reviews from 96 of the most popular review sites including Baby Gear Lab, Lucie's List, Car Seat Blog, The Bump, New York Times Wirecutter, Car Seats For The Littles.org and more. The result is a ranking of the best of the best Infant Car Seats. With versatile installation options, and crash test results that are on par with more expensive options, the Chicco KeyFit 30 is a safe and budget-friendly pick. While it is highly recommended to comfortably cradle preemies, there are some complaints of fabric quality and a small shade causing little ones to sweat in warmer climates. DWYM Baby and Kids Experts plus Consumer Reports, BestReviews, New York Times Wirecutter, Top Ten Reviews, Baby Gear Lab, The Nightlight and 5 more. Along with user reviews from Amazon, Walmart and Target.
" One of the best seats overall for balancing crash protection, ease-of-use, and vehicle fit." "Fabric can make babies sweat if they are heavily bundled." Stylish jersey-soft fabric and the perfect design for travelers and city parents with its built-in base design, the Peg Perego Primo delivers on its price tag. It does work with its own brand's travel system, but the small space between the shorter carry handle and shade make toting a little uncomfortable. DWYM Baby and Kids Experts plus Top Ten Reviews, Baby Gear Lab, Consumer Reports, The Bump, Car Seat Blog, Car Seats For The Littles.org and 4 more. Along with user reviews from Amazon and Target.
" he base is equipped with a side impact protection system and an anti-rebound bar to offer better protection in the event of front and rear collisions. The dual stage cushion accommodates a 4 pound infant, a 35 pound baby and..."
"Unfortunately, this impressive option is not compatible with many strollers which locks you into primarily Peg Perego strollers." The UPPAbaby by Mesa gets high marks for easy installation, featuring a red to green indicator window, self-retracting straps and a no-thread harness. While the merino wool fabric is safe and comfy for little ones, the seat is heavy and a little cumbersome for parents. DWYM Baby and Kids Experts plus New York Times Wirecutter, Top Ten Reviews, Reviews.com, Baby Gear Lab, Consumer Reports, Lucie’s List and 4 more. Along with user reviews from Amazon.
" The UPPAaby Mesa passed our commissioned side-impact test without incident and scored the best of the four seats we tested for seat angle in our commissioned front-impact test." "Testers noticed that the fabric on the KeyFit isn’t as plush as the Henry MESA — if the MESA is a living room recliner, the KeyFit feels more like a sleeping bag. The canopy is also a little on the..."
The heavily safety-tested Evenflo LiteMax 35 car seat has the comfort of both parents and babies in mind with an ergonomic carry handle and soft, temp-regulating cushioning. Even though it is rated for little ones up to 35 pounds some parents find it to be a tight fit over 20. DWYM Baby and Kids Experts plus BestReviews, Car Seats For The Littles.org and 5 more. Along with user reviews from Amazon, Walmart and Target.
" The Evenflo LiteMax 35's plush, padded interior keeps even the smallest of infants snug in place. However, its temperature-regulating fabric means your child won't overheat, even if you're in a hot climate, or your little one is bundled up in..."
"The recline level indicator is really easy to read, but some caregivers may have an issue getting the correct recline for babies over 20 pounds." We identified the majority of the infant car seats available to purchase. 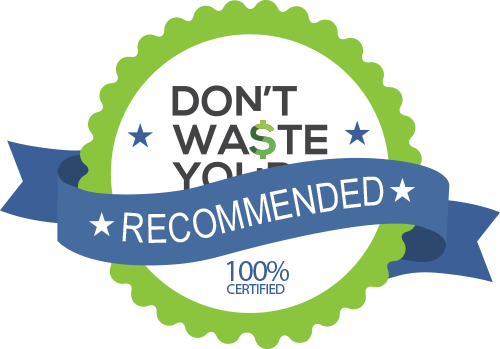 Reviews from our DWYM category experts and analysis of some of the most respected sources including: Baby Gear Lab, Lucie's List, Car Seat Blog, The Bump, New York Times Wirecutter. We also incorporate user reviews from the leading retailers including Amazon, Walmart, Target, Google Express. One of the best seats overall for balancing crash protection, ease-of-use, and vehicle fit. Superior safety rating and ease of installation. Comes equipped with every safety feature imaginable. Accomodates infants up to 30 lbs. The Chicco KeyFit 30 is great for premature infants, and many neonatal intensive care unit nurses prefer this car seat. Overall, this is one of the best infant car seats on the market today, and we think it has a lot of great things going for it, at a very reasonable price. Secure installation of carrier without base is difficult to achieve. Fabric can make babies sweat if they are heavily bundled. The cushions do not breathe, so your baby might sweat during prolonged use. The canopy is not as big as some other carseat models but the extended visor on the KeyFit 30 model does help. plastic adjuster - cover removal. Removing the cover can be a little cumbersome. The canopy on top is small, it would be nice if it covered a little more, especially when it’s very sunny. It has an easy to use sure-safe LATCH system, a full-body infant insert, super soft padded straps, a much larger canopy, and a soft and breathable fabric. The Evenflo LiteMax 35's plush, padded interior keeps even the smallest of infants snug in place. However, its temperature-regulating fabric means your child won't overheat, even if you're in a hot climate, or your little one is bundled up in the winter months. a canopy will help you protect your baby from sunlight or cover him when he’s asleep. the LiteMax 35 is a very comfortable infant car seat. It comes with a seat pad and a body pillow; both of which are full of cushioning and feel very pleasant to the touch. Though rated for babies up to 35 lbs., some parents complain that the fit is a bit snug. The recline level indicator is really easy to read, but some caregivers may have an issue getting the correct recline for babies over 20 pounds. We would have loved this car seat if it would have been compatible with a stroller. Nevertheless, this is a great car seat to invest in. If you’re an owner of a compact car, this seat probably isn’t the best choice for you. The model requires at least 1.5″ of space between its handle and your vehicle’s front seat, which means that it probably won’t fit well inside your small automobile. this seat is quite narrow and unlikely to accommodate babies over 20 pounds, the plastic isn’t as durable as some of its competitors, and the chest buckle doesn’t have the audible “click” to let you know it’s securely fastened, which isn’t good for peace of mind. Way to much padding. Daughter gets to hot and screams in the car seat. You’re probably already nervous about your first ride home with your tiny bundle of joy. On top of that, you have to try to pick the best infant car seat from a seemingly endless array of options. From the ease of installation to fabric comfort and whether or not it works with your stroller system, it can be overwhelming, to say the least. It’s simple to break down the basics of what you need in an infant car seat so you can find the right infant car seat for your growing family. Infant car seats — sometimes called bucket or pumpkin seats — are rear-facing and made for infants and toddlers up to two years old. The height and weight requirements vary from seat to seat but they typically work for babies from around 4 to 35 pounds and up to 32 inches in height. Some seats, like the Chicco KeyFit 30, are preferred for preemies but only go up to 30 pounds and 30 inches. The seat usually clicks into or attaches to a base that stays in the car. Many infant car seats have a carrying handle and an adjustable shade. They also have various types of cushions and inserts that can be used for the smallest infants and then taken out as your child grows. The Centers for Disease Control (CDC) and the American Academy of Pediatrics (AAP) recommend that children stay rear-facing at least until two years old or when they reach the height and weight limit for the seat. According to the CDC, using a car seat reduces the risk of injury in a car crash by 71 to 82 percent. Overall, kids may end up using a car seat or booster up to the age of 12, based on their height and weight. Knowing that their child will be using a car seat for such a long time prompts many parents to opt for a convertible car seat. Unlike the infant car seat, a convertible car seat starts rear-facing and can change its configuration to a front-facing car seat and then finally a booster. They are just as safe as an infant car seat and must meet the same standards. While this option can certainly be budget-friendly and you may be able to keep your child rear-facing longer, there are some trade-offs. For some, the biggest deal breaker is giving up the ability to easily transfer a sleeping baby in and out of the car while still in the seat. Since convertible car seats are meant to stay in the car most of the time, they also don’t typically work with strollers and don’t have carry handles. And, since they’re larger to accommodate a growing child, they may not fit well in all vehicles. You’ll want to make sure to consider how you’ll be using the car seat and if it’s important for you to be able to keep your child in the car seat when you’re out and about. Many infant car seats work with a complimentary stroller or travel system, like the UPPAbaby Mesa, and you may save money buying this as a package deal. The most important part of any car seat purchase is safety. Each car seat uses different materials and features, but they all have to meet the same federal safety standards. Some may choose to do additional safety testing, like the Evenflo LiteMax 35, which is rollover tested. There are a few things you’ll want to look out for, such as a five-point harness and a base that clearly indicates when the seat is attached and positioned correctly with a color change or a bubble level like the Chicco KeyFit 30. Actually installing and using the seat the right way can be stressful for any new parent, so the easier it is to do, the better. The National Highway Traffic Safety Administration (NHTSA) maintains an ease-of-use rating system to help parents find seats that have clear instructions and are easy to install and use. Anything rated 4 or 5 tends to be more intuitive. All cars are now required to have a LATCH system (which stands for lower anchors and top tethers) that allows you to attach the car seat with clips near the seatbelt base and behind the headrest or seat. It can sometimes be a struggle to make the connectors the right length so the UPPAbaby Mesa self-retracting option may be a major plus if you have to take the base in and out more frequently. Finally, it’s important to consider overall comfort, for you and for baby. Look at features like the weight of the car seat, the ergonomics of the carry handle and quality or type of fabric. Infant car seats can vary widely in weight. For example, the Evenflo LiteMax 35 is only 16 pounds, while the UPPAbaby Mesa is 25.5 pounds. That can make a big difference if you plan to tote the seat any distance with your little one inside. If you live in a warm climate you may want to look for a cooler fabric like breathable jersey found with the Peg Perego Primo car seat. The UPPAbaby Mesa features moisture-wicking merino wool which is also naturally flame retardant. While buying online can be the most cost-effective and convenient, you may want to go to a store where you can compare the feel of the fabric and other materials. As of 1985, all states finally have laws requiring the use of car seats on the books. But in 1987, only 80 percent of people were using them. It wasn’t until 2003 that all cars we required by federal regulation to be manufactured with LATCH systems (lower anchors and top tethers) for car seats. This helped promote usage by making it easier and more consistent to install car seats. Still, according to the CDC, car accidents and related injuries are the leading cause of death among children (ages 0-12) in the United States. They also found that in one year, 618,000 children did not use a car seat or booster seat at least some of the time. While there are a number of factors that cause injury in car accidents, the NHTSA did a study that found that 46 percent of car seats and booster seats are misused in some way. Front-facing car seats are the most common misuse, at 61 percent. The CDC urges the use of car seats as the best way to reduce the risk of injury. In addition to following the recommended stages for car seat use, you can also find a certified child safety technician in your area to get installation instruction and tips one-on-one. The bottom line: it’s better to use a car seat or booster as recommended than not and there are resources to help you install and use your seats correctly. Any parent or caregiver who has cleaned a car seat mess will tell you how important easy-to-clean fabric is. Even better, look for car seats that allow you to remove the lining or pad entirely and toss it in the washer, like the Evenflo LiteMax 35. If you travel frequently or live in a city where you may need to use your car seat in a taxi or rideshare you may want to opt for an infant car seat like the Peg Perego Primo. It can be used with or without its included base, giving you more flexibility when on the go. You are not alone when it comes to learning how to install a car seat properly. The NHTSA offers free car seat inspection locations (usually at local fire stations) with trained technicians who can show you how to install it and use it. Believe it or not, car seats expire. That’s why it’s not recommended to purchase a car seat from a yard sale or online reseller or reuse one from a friend. Most infant car seats expire in five to six years. Some convertible car seats last up to 10 years. You may be able to find the expiration date on the car seat itself or in the owners’ manual. If you can’t find a date, note the model number and call the manufacturer. Most car seats do end up looking kind of beat up, but the real risk is caused by plastic getting hot and cold repeatedly over the years. This may cause hairline cracks or brittleness that aren’t easy to see, and are very dangerous in a crash. Once you’ve chosen the perfect seat, you also have to make sure you’re strapping in your little one correctly. Straps should be at or below the shoulder without any looseness or slack. Your child may protest but you should only be able to fit a couple fingers behind the strap. The chest clip should be at armpit level in the middle of the sternum. If it’s too high, it could cause neck injury and if it’s too low, your child could be thrown from the car seat. As an added safety precaution you can add a luggage tag or label to the side of the seat with emergency contact info. Include details like your child’s name, parents name, address and phone numbers, pediatrician name and any medical conditions. This way, first responders can find valuable information quickly, in case the parent or caregiver is injured or unable to speak. For the Infant Car Seat category, we analyzed 96 of the most popular reviews including reviews from Baby Gear Lab, Lucie's List, Car Seat Blog, The Bump, New York Times Wirecutter, Car Seats For The Littles.org and more. The result is a ranking of the best Infant Car Seats.